Hearing loss is a major issue faced by children as well as adults. Read this article to know more about technologies that help in dealing with hearing loss. Does your newborn fail to respond to sounds? Do you suspect your child could possibly be suffering from hearing loss? Don't despair. Here in this article, learn why it is important for children to be tested early for hearing loss. Also, learn how Cochlear implants can help your child regain their hearing ability. Parents always desire the best for their newborns. They want their babies to be healthy and devoid of any major or minor health issues. They expect the children to have the perfect skin, weight and complexion and they should learn to speak and walk at the right age. It's shattering to them when all of a sudden parents realise that their baby has any kind of disability. Parents are left wondering, why of all people such a misfortune was to fall upon their child. From moments of joy, it then transforms into a series of emotions ranging from sheer anger to despair. The whole world surrounding their child suddenly comes crashing down and a few parents even get into depression. Coming to terms with your child's disability is one of the most difficult things. It often takes a lot of time to accept the fact that your child is disabled. But then parents should not lose hope. Of late things have improved a lot. Almost every ailment has a cure these days. The advancements in medical technology and in electronics have brought a revolution in the field of healthcare. Partial or severe hearing loss is a phenomenon that affects 6% newborns all over the world. In a recent study in the US, it was found that at least 6 in every 1000 children suffer from hearing loss. But thanks to technology, we have these days advanced techniques to cope with this disability. The one thing that is essential in treating hearing loss is to detect it as early as possible. Advanced medical techniques can determine whether your newborn is suffering from any hearing loss soon after the birth itself. As your child grows, he may still develop a hearing loss due to noise pollution, less care, too much stain, other medical conditions. So it's essential for parents to watch out for signs that will tell them whether their child is suffering from any hearing issues or not. If your child doesn't respond to loud noises or doesn't respond to you calling out to them or any external stimulus, it could be a sign that he or she is possibly having a hearing disability in either one or both the ears. The earliest the disability is diagnosed the better you can take steps to help your child recover. Experts say that the first 3 years are crucial for a child's development in many aspects including, picking up language skills. The human brain is most receptive during this early childhood period. A child starts learning by picking up skills from his parents and the surroundings soon after his birth itself. For a child with hearing issues, it will be very difficult to pick up sounds and language skills throughout his growth period. To care for the special needs of a hearing impaired child, he may have to be admitted to a special school. So early diagnosis and early treatment are essential if you desire your child with hearing disability to lead a normal life. Over the years many new techniques have been developed to fight hearing loss. Many people use hearing aids to improve their hearing ability. But these external devices are of not much use if someone has a severe hearing disability. A hearing aid is an ideal solution for anyone who has mild hearing loss. A child, who does not even respond to a dog barking loudly in its near vicinity, won't get much help wearing an external hearing aid. Whereas, Cochlear implants are of immense help to those suffering from severe hearing loss. A Cochlear™ implant is, however, most effective when a child has a severe hearing loss. Read more about Cochlear™ Kanso™ Sound Processor. If your child doesn't respond to loud sounds, is not able to speak coherently or doesn't respond when his or her name is called out, it's a strong sign that all is not well. There could be some issue with your child's hearing ability and quite possibly there may be a need for a Cochlear™ implant. It's essential for you to take your child to an audiologist. 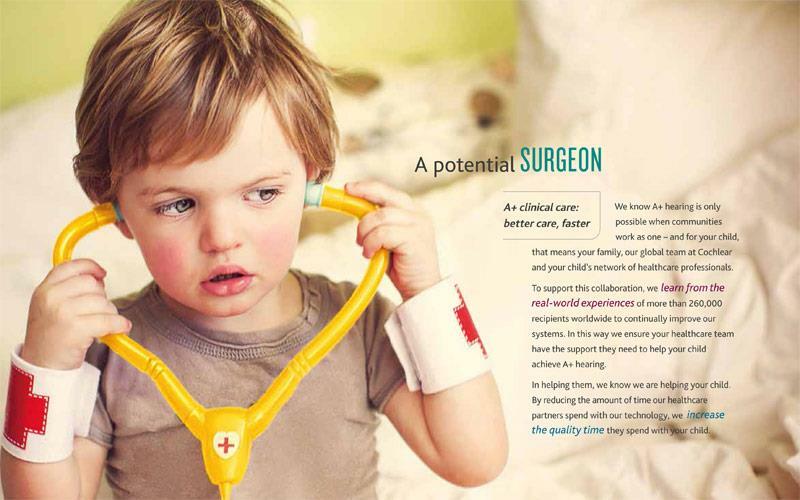 An ENT surgeon will be able to make a final decision on whether your child requires Cochlear™ implant. The first 2 to 3 years of age are very crucial for a child to pick up skills in communication, language and speech. Too late and the best of the treatment won't be of much help. So it's necessary to start early. The earlier the treatment gets started, better are the chances for your child recover from the years of development lost. As is evident from its name Cochlear implants are to be inserted internally through a surgical procedure requiring general anaesthesia. Like most surgeries, there is a very small possibility of failure, but as a whole, the complete procedure is very much instrumental in helping a child recover its hearing ability. These implants have two components, one external and the other internal. There's a microphone, an electronic sound processor and a transmitter mounted externally on the skin, behind the ear. On receiving a sound from the environment the external mechanism transmits a signal through electromagnetic induction to the inside of the ear. The implant or the internal device receives the signals and feeds them to electrodes placed in the cochlea. The electrodes then send electrical impulses to the brain and thus the person is able to hear. They are very safe to use even on very young children. These implants are recent inventions and are very effective in restoring the hearing abilities of children who have hearing disabilities. The Cochlear implants bypass the way we normally hear. So parents, if you do find your child suffering from any kind of hearing loss, don't even waste a moment. Precious moments saved at a young age will go a long way in ensuring all-round development of your child. Head to an audiologist who alone is qualified to suggest a mode of treatment. A Cochlear implant goes a long way in providing your child with the necessary relief that could help your child laugh, sing, talk and realise its full potential. It can help the child lead a normal life and go to a normal school. Cochlear implants are popular the world over and not simply restricted to a select few countries. In most of the cases, a Cochlear implant is able to replicate the magic and restore the hearing ability of a child. It is simply amazing that what was thought impossible even a decade back is now possible due to technology and through the use of Cochlear implants. It can thus be a great product for your child if ever he or she needs a hearing implant. 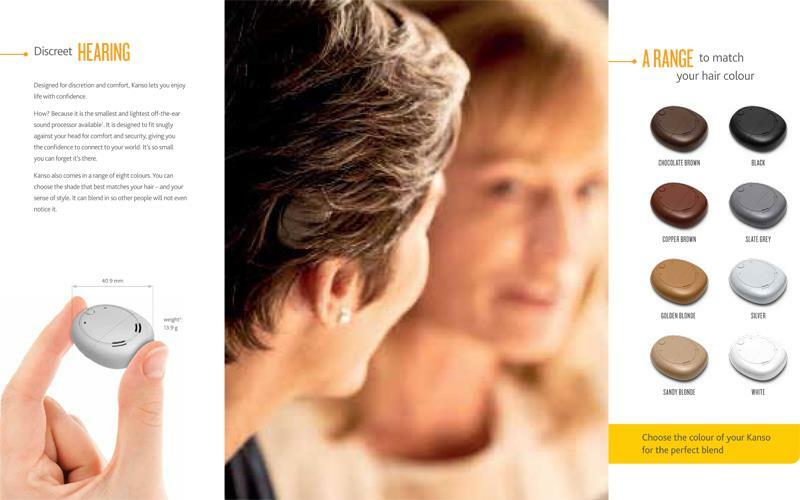 Learn more about Cochlear™ hearing implants.